Authorities estimate that on average 200,000 children a year are injured and treated in emergency rooms for PLAYGROUND accidents. Of these, almost one half are deemed "severe". The most common types of severe injuries involve falls causing head trauma, bone fractures, spinal injuries, internal injuries and dislocations. Strangulation and entrapment are also common. Part of the reason for this is that there are so many playground accidents is that there are so many playgrounds and so many children who use them. What child does NOT enjoy a playground? Just walk or drive around any suburban or urban area and you will see playgrounds in schools, public parks, and elsewhere. With so many playground sites, and so many kids using those sites, accidents are bound to happen. But the mere omnipresence of playgrounds does not really explain all those accidents. Many, many playground accidents are caused by someone's negligence or carelessness. The three likely "culprits" are: (1) the designer/manufacturer of the playground equipment; (2) those charged with installing, constructing and maintaining the equipment; and (3) those charged with supervising the children on the playground equipment. Our Syracuse playground accident lawyers have handled cases involving all three types of negligence. As for the first type, design/manufacturing defects, have you noticed that some of the "old school" playground equipment - such as see-saws --- are no longer being built? There's a reason for that: Safe design of playground equipment has come a long way since the 50's and 60's. Playground safety experts have determined - through statistics - which type of designs caused the most and the severest injuries. Those types of equipment have been eliminated from modern playground sets. Others, such as "monkey bars" or "horizontal ladders", slides, swings, and climbing and spinning equipment, have evolved with safer features. For example, modern playground equipment should always provide a safe and soft landing surface, consisting of one of the following: artificial grass, sand or pea gravel, rubber mulch or wood fiber. One of the first tasks of our playground accident lawyers when investigating a Syracuse area playground injury is to visit the site and document the playground equipment with photos and measurements. We then consult with our playground engineer experts to see if the playground was properly designed, constructed and maintained. 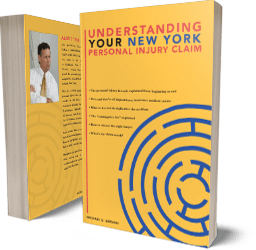 If it turns out that either improper design, installation or maintenance caused the accident, we will bring a claim against the responsible party. Since Syracuse and Central New York have such long, cold and brutal winters, one of the causes of playground accidents in this area is poor spring maintenance. Those long, hard winters cause equipment to rust or lose lubrication, and wood to deteriorate, which can cause injuries and cause parts to fail. The protective soft surface below the equipment also takes a "beating" in upstate New York winters. All of this must be property inspected and repaired, especially in the Spring. However, in about half our playground cases, the playground equipment itself is not to blame. Nor is its maintenance. Instead, the supervisors are. 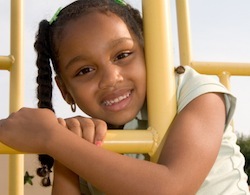 These types of cases usually involve school recess periods where many children are on the playground equipment at once, and the supervision is either quantitatively deficient (not enough supervisors) or qualitatively deficient (they are not paying attention to the children or are allowing small children to use defective or age or size-inappropriate equipment). There are nationally accepted playground supervision guidelines which are critical for schools and others to follow. These guidelines determine minimal ratios of adults to children. They also determine where the adults must be "stationed" vis-à-vis the equipment and what they must be doing (watching carefully!) and not doing (getting distracted, for example, chatting with other adults). One modern development that has boosted our Syracuse playground accident lawyers' ability to prove negligent supervision is the surveillance video. Most schools now have surveillance videos focused on the playground equipment. However, the camera will tape over the old surveillance footage, usually about every 30 days, so it is important for our lawyers to quickly send out certified letters to the school principal and school district superintendent demanding that the surveillance footage of the accident be preserved. If your child was injured on a playground, you can't determine on your own whether anyone other than your own child was "responsible" for the injury. You need to hire an experienced lawyer to investigate the design, maintenance and supervision involved. Don't hesitate to call our Syracuse playground accident lawyers for a free consultation.